Currently there are two joint-showings of my pictures here in Amsterdam. I created a listing, which I want to keep updated from now on. Firstoff, there is a indefinite exposition in Koppelaar’s Kunsthuiskamer. 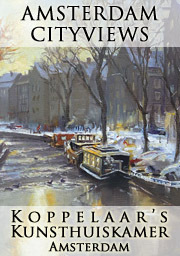 A gallery in Amsterdam Oud West (close to Central), which is specialized in Amsterdam Cityviews. It will keep 3 of my paintings constantly, only exchanging them with new ones every 3 months. I’m working on several new pictures, so that I can change more often. It is open every Friday, Saturday, Sunday from 13:00 to 17:00. 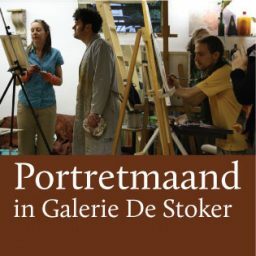 And secondly, there is currently the Portrait Month in the Galerie de Stoker. 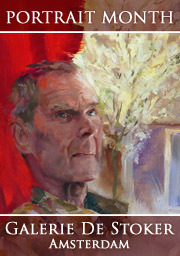 There are artists (including me on Friday) painting portraits in the gallery space, so people can watch. It’s pretty nice, especially now with the sun getting stronger. This happens every Friday and Saturday from 11:00 to 17:00. Some of the pictures will stay there for showing. 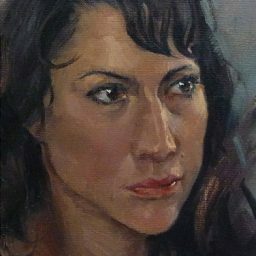 I have a bunch of portraits done, I’ll post them later.